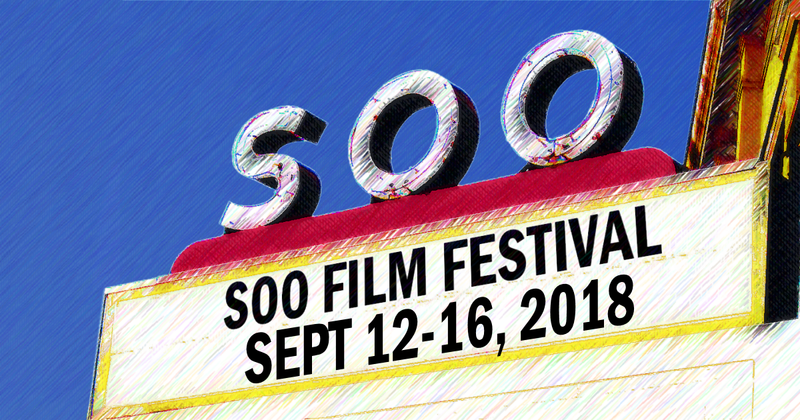 Soo Film Festival, Inc. is a 501(c)(3) nonprofit corporation whose mission is to promote and host film and allied arts festivals in the City of Sault Ste. Marie, Michigan. Soo Film Festival, Inc. seeks to showcase the work of independent and emerging filmmakers from the Great Lakes of North America while bringing movies back to downtown Sault Ste. Marie and the historic Soo Theatre. President Jason Markstrom is a long-time participant in Michigan filmmaking. He directed his first feature while still attending Northern Michigan University. He has also entered and participated in many short film competitions on the state and national level. As an actor Jason has appeared in the award-winning shorts Words of Action and The Clown of Sadness, and onstage locally in several community theater productions, including Time Capsule: Sault Ste. Marie, the first performance in the Soo Theatre after its re-opening in 2005. Vice-President Allison Youngs is an avid photographer with a BS in Mathematics from Michigan State and an MS from Purdue. She spent her formative years as the child of an Army Officer living across the country and in Germany, eventually graduating from Petoskey HS. Allison found her way to the Sault after her parents, originally from the Sault, retired there. She serves on the Chippewa County Board of Canvassers, the Sault Sainte Marie Downtown Development Authority Board, and the Music in the Park committee. Susan James is the library manager of Bayliss Public Library and the assistant director of the Superior District Library. She is also Corresponding Secretary of the Chippewa County Historical Society. In her previous career, she worked at the Pennsylvania Academy of the Fine Arts. James serves as the board secretary. Co-founder Patrick Egan is the former publisher of the Sault Evening News and The Cheboygan Daily Tribune. He spent nearly twenty years in journalism, as a beat writer, editor and publisher. He has served on a number of community boards and non-profits. He currently serves on the Lake Superior State University Board of Trustees as Chairman. He and Debra Egan live on Whitefish Bay in Bay Mills Township. Egan serves as the board treasurer. Mark Dobias is an attorney who has practiced law in Sault Ste. Marie since 1984. He currently serves on the Board of Trustees of Legal Services of Northern Michigan. He has been a long-time supporter of the arts. Helen Cho Anthos began her filmmaking career as a cinematographer and has since shot 5 shorts which have won awards in various festivals (Slamdance, Digidance, Outfest, Santa Fe), music videos, and television shows. It has been said that she has the brain of a techie and the heart of an artist. As an app developer she developed the first comic and graphic novel reader for the iPhone which received two Apple Staff Favorite Awards and an App Store Pick of the Week. Helen is currently editing the documentary Anatomy of a Writer, which she shot and directed and which features writers from the Upper Peninsula, and contributing on several other feature and television projects as a producer, director, writer, and cinematographer. Her website is helenchoanthos.com. Nick Childs wrote, directed and produced The Shovel, based upon a story by bestselling author Steve Hamilton and starring Academy Award-nominee David Strathairn. The film won Best Narrative Short at the Tribeca Film Festival and more than 15 other top awards worldwide, continues to air globally, and hit #1 for downloaded films on iTunes, where you can still find it. He also executive-produced the award-winning feature documentary, High Score. Beyond the world of independent film, Nick is an Executive Creative Director at FleishmanHillard, where he leads integrated marketing campaigns for some of the world's top brands. Nick has won awards for his work with Canon, P&G, the NFL, Penguin Books and, dubiously, helped create, produce and direct the "baby" campaign for E*TRADE. His website is nchilds.com. Steve Hamilton is the two-time Edgar Award-winning author of both the New York Times bestselling Alex McKnight series (set right here in the Upper Peninsula) and the standalone novel, The Lock Artist, which is currently in film development with Shane Salerno (who produced and directed Salinger, and is currently writing one of the sequels to Avatar with James Cameron). Steve has either won or been nominated for every other major crime fiction award in America and the UK, and his books are now translated into twenty languages. He was born and raised in the Detroit area, and attended the University of Michigan, where he received the prestigious Hopwood Award. In 2006, he received the Michigan Author Award from the Michigan Library Association in recognition of his overall body of work. He currently lives in Cottekill, New York with his wife and two children. His website is authorstevehamilton.com. John Regan is an American musician, songwriter, producer and bassist. He is notable for being a member of ex-KISS guitarist Ace Frehley's band Frehley's Comet from 1984 to 1990. He also recorded and performed with Peter Frampton for more than thirty years, as well as John Waite, The Rolling Stones, Stephen Stills, Dave Edmunds, Robin Trower, Scandal, Billy Idol, and David Lee Roth. He lives in New York. He will be touring this summer with his new band, FOUR BY FATE. You can find the band on Facebook at facebook.com/FOURBYFATE. Steven Wiig is an actor and musician born and raised in Negaunee, Michigan. He has traveled the world working with multi-Grammy award-winning band Metallica, appearing in their award-winning documentary Some Kind of Monster. As a member of the Screen Actors Guild, Wiig has acted in numerous films including Into the Wild, Milk, and The Master, as well as the blockbuster movies Godzilla and Dawn of the Planet of the Apes. Steven enjoys producing and directing and is working to bring more projects to and from the Upper Peninsula, including a film based on the novel U.P. He plays the drums in the Metallica side-project Papa Wheelie and will be featured in the upcoming films America Is Still The Place, Dead Metaphors, and James Franco's childhood-inspired Yosemite. He lives in Sausalito, California and his website is imdb.me/stevenwiig.